This is my personal #1 marketing tool for my home listings. I’m the only Realtor in the area to use it. 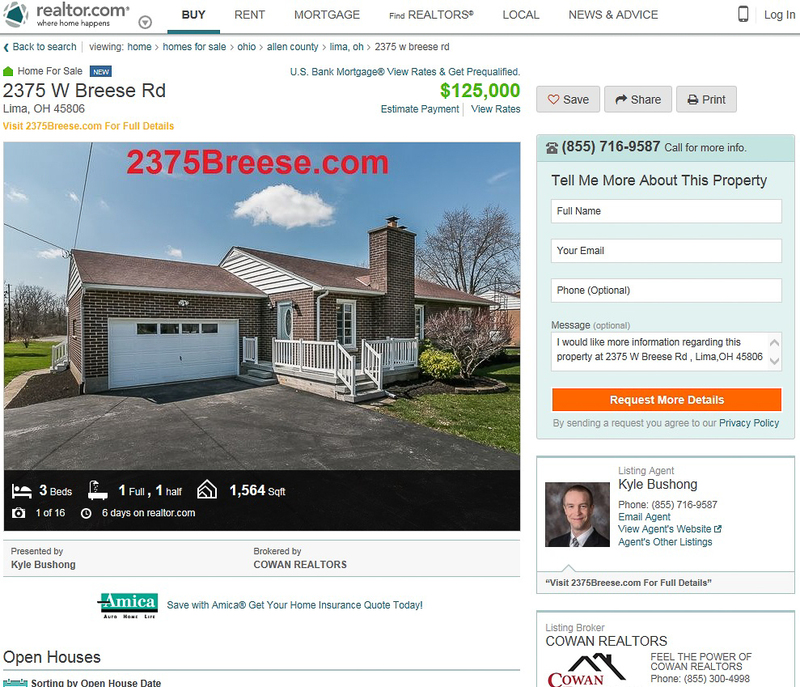 I’ll buy a website domain address that uses your home’s street address as the website address. For example, if your street address is 1234 Main St I’ll buy 1234Main.com or some variation. 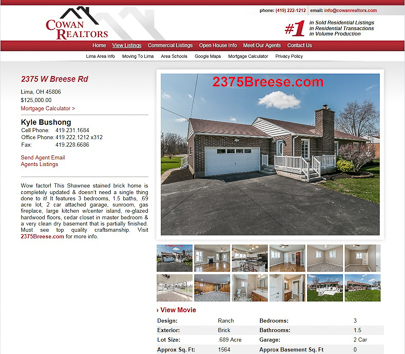 I use this individual property website as the central hub of my marketing to highlight your home. All of my other marketing will reference or link to this website. It really helps your home stand out from all of it’s competitors that it's up against in the market. 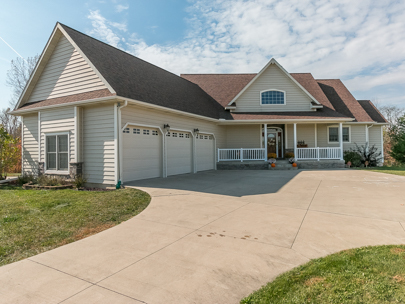 I found out early in my real estate career that having very good photos of a house makes it much easier to sell it because it draws potential buyers to come and see it in person. Think about it and put yourself in the shoes of an actual home buyer. 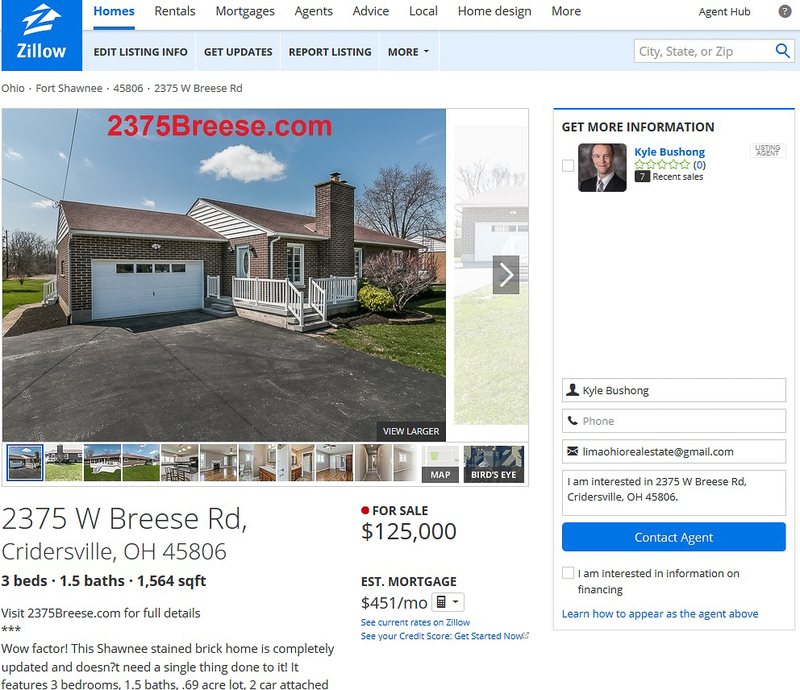 If you were looking through hundreds of homes on multiple different websites, the ones that look the best visually in their pictures are the ones that are going to catch your eye the most. 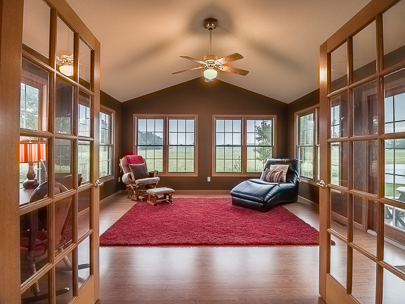 The photos of your home are the very first visual impression a potential buyer will have of it. This can make or break whether a potential buyer will consider your home any further. I will personally take high definition wide angle photos of your house using my professional level Canon DSLR camera with a Canon wide angle lens. I also use the professional photo editing software Adobe Lightroom to edit and process the photos as well. 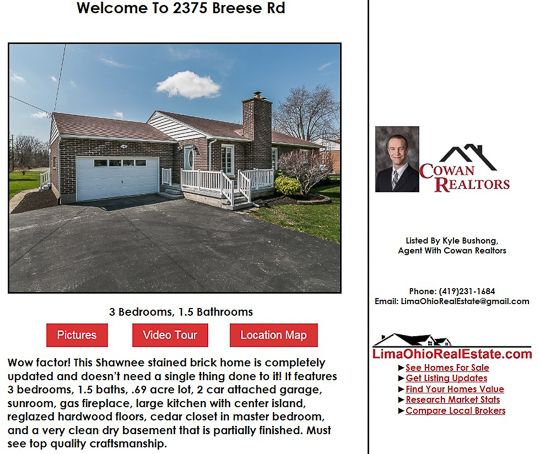 These photos will work greatly in sync with the property website and the other marketing strategies below to portray your home in a very positive light. 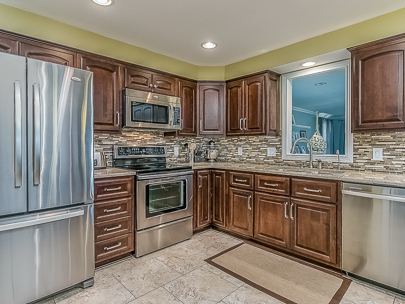 Just mentioned above, photographs are what buyers initially see as a visual representation of your home online. But, once they're intrigued by what they see in the photographs they'll want to see more if they're truly interested. That's where video tours come in. 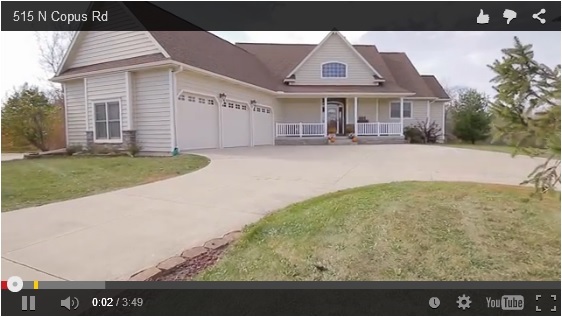 My video tours really help show the space, floor plan, layout, and flow of the home that can be hard to show in photographs. The video tour that I take for your home will help show a deeper dimensionality of the foreground, middleground, and background of each shot making your home look even more appealing to the buyer's eye. 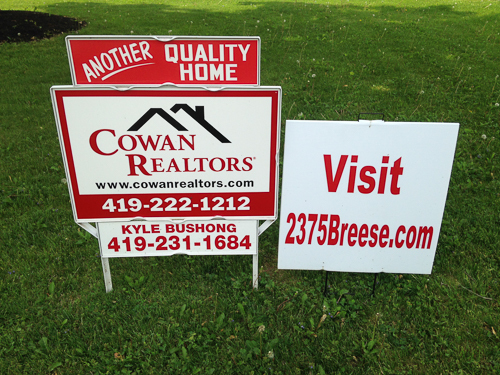 I not only use the usual Cowan Realtors yard sign that you see around everywhere but also an additional second custom made sign with the property website address on it as well. This does two things. First, it catches the eye of people passing by your house even more than normal due to having two yard signs instead of just one like most people are used to seeing. Secondly, it points people directly to the property website to get information about your home. They don’t have to take a bunch of their time to visit a website and manually try to search for your house. They can access all of the info they'd want right there directly at the property website address on the sign. In our modern age of technology, almost all home buyers use the internet to shop for a home. It’s their most used tool by far. Not only will I have your house on its own property website that I talked about earlier but it’ll also be on the big national real estate websites such as Realtor.com, Zillow, and Trulia as well my broker’s website CowanRealtors.com, my own website LimaOhioRealEstate.com where I put only my own home listings, and on the local Craigslist classified ads that I update everywhere 48 hours as well. 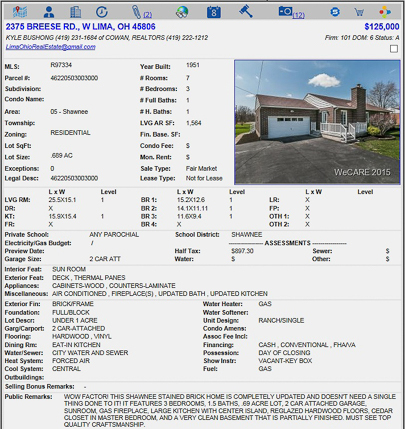 So, no matter where that buyer for your home is looking online they will find it. Facebook has become a very powerful networking tool for the real estate market. 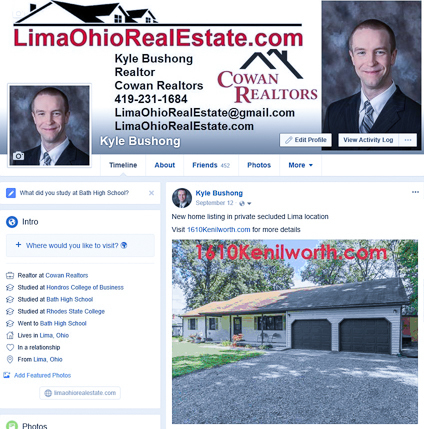 I'll post your home on my Facebook page for all of my friends on Facebook to see and tag you on the post as well so that all of your friends see it as well. The more people that like and share the post the more of a viral effect it'll have by reaching more people. 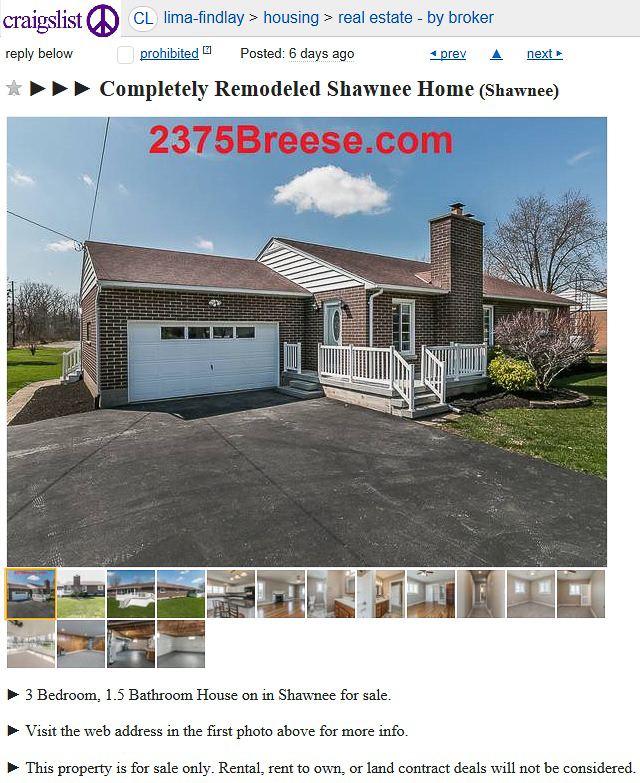 I'll also post your home on Facebook's Marketplace which is essentially an online classified ad similar to Craigslist. That way even more people that aren't our friends on Facebook can see your home listing there as well. 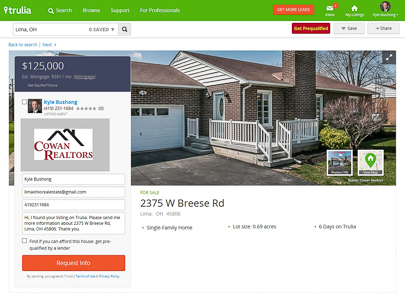 The local Realtor multiple listing system, or MLS, is the bread and butter marketing tool for Realtors. 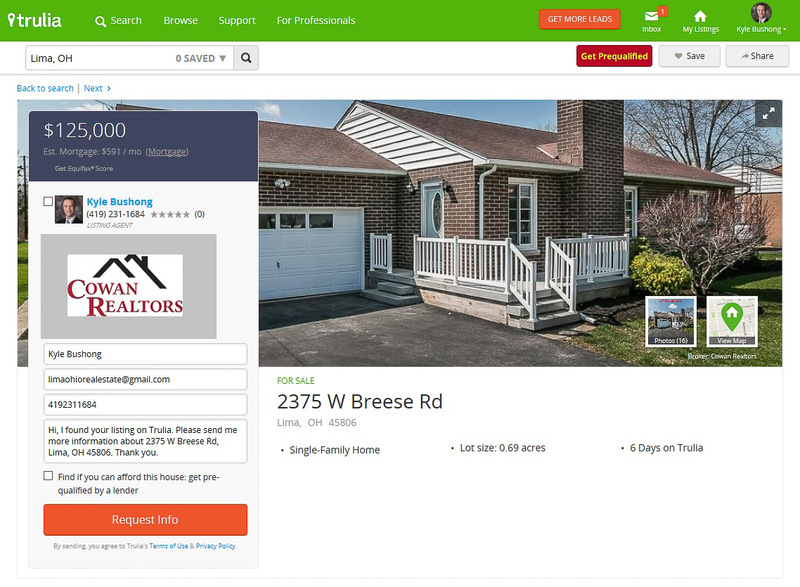 It allows all Realtors to list their home listings in a computer database for all other Realtors to see. It’s a very powerful networking tool that allows any Realtor to sell your house if they have a buyer client to match with it. 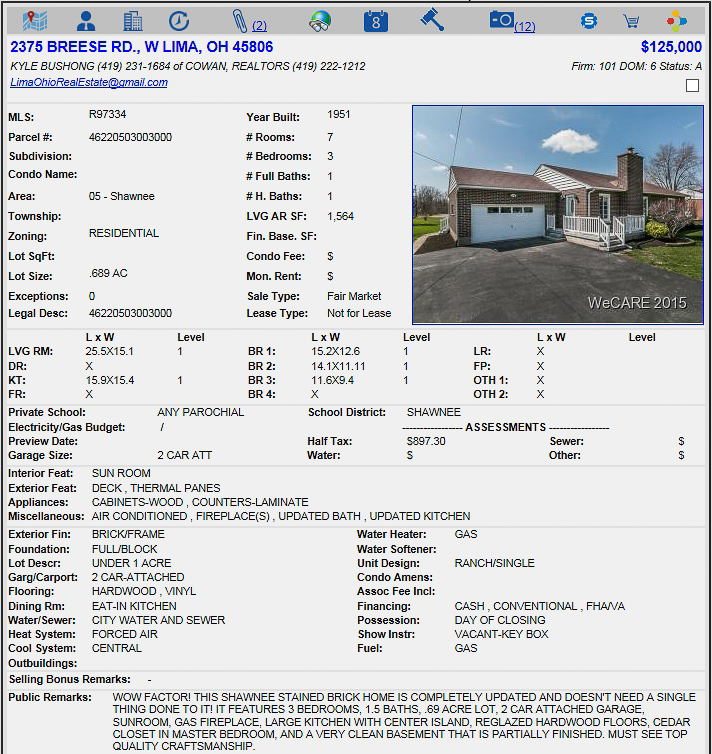 This is a tool that all Realtors use but since I use premium photographs it helps to catch the eye of other Realtors who see it in our MLS. Those Realtors are in turn working on their client's behalf to find them a home. 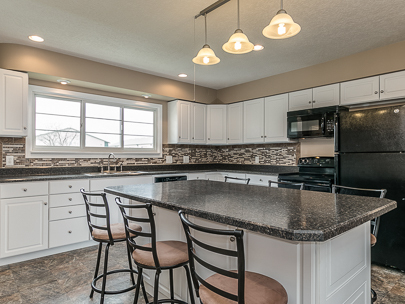 If the pictures of your home in the MLS catch the Realtor's attention then they're more likely to want to show your home to their buyer client.